Lets Celebrate - We will be learning about different types of celebrations and how they are celebrated by different people around the world. We will learn about the way that fireworks, food and clothing contribute to celebrations. Some of the celebrations coming up this half term include Halloween, Bonfire night, Diwali and Christmas! We will be learning about how these festivals are celebrated and by whom. In English we will continue to focus hugely on writing in full sentences. We will endeavour to write perfect sentences making full use of capital letters, full stops and finger spaces. We will also explore adjectives and conjunctions and then add them to our sentences to extend them further. Please use the link below to learn how to write fantastic sentences at home. In our mathematics we will be moving on from addition on a number line to subtraction on a number line. IPC - A day in the life of... The children really enjoyed our last topic. Take a look at these pictures to see their wonderful achievements! The year 1 phonics screening check is in June. 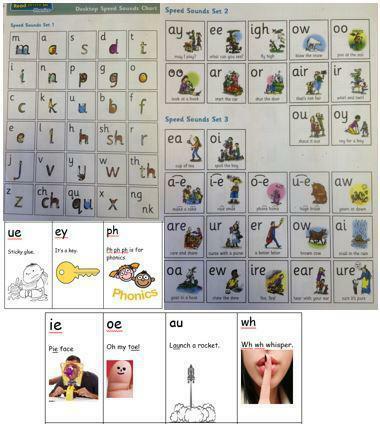 Please practise reading the sound mat every day and read the words on the homework. There are more links in the phonics tab below. Reading books are changed on a Wednesday every week. However, sometimes we read the book that the children have at home on other days so please send your child's book and book bag every day. If your child wants extra books then they can come and choose a book every day if they wish. We ask that if a child wishes to change their book that they come into school ready to do so in the morning. Each child has a reading record book where we can share information about their reading. 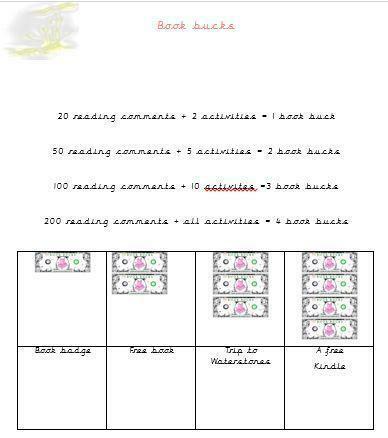 We love to hear about how the children are reading at home and don't forget there are prizes for the children throughout school that get the most reading comments! Homework online weekly will include: Spellodrome for spelling practise, Mathletics for maths and Reading Eggs for more practise and focus on reading skills. Your child will be provided with their logins to access these websites at home. You will be provided with login details as required. We also set projects during each IPC topic so look out for letters with information regarding these. Your child's spelling lists will be added to spellodrome every Friday and they will have a short spelling text on a Monday morning to see how well they have done. Your child's unique username and login can be found in their reading record books. Please help your child with these spellings.